Amena has been doing readings for me for several years. She accurately seen the affair of my husband, guided me though a painful divorce, [and] has provided me with insight with my children. I recommend Amena for readings. Amena is not only my psychic, she is my friend. The other day I called her and she found my lost cat! Amena has been doing readings for me for 5 years now. She helped me find my soul mate, warned me of a fire in my home, and has given me advice and knowledge on my many business adventures. She has become a true confidant and friend. I call Amena whenever I have a major decision to make. 1/2 - Amena has been my psychic and guide for over 5 years now. When I met her I was coming out of a 20 year relationship. I was in deep sorrow over my loss, she has helped me get my life back on track and encouraged me to complete my degree. I am now living my life in a happier, positive way. Amena has been doing readings for me over 10 years now. Thanks to her I took her advice and moved to England. I now have a beautiful son and a loving husband just like she told me. I always call Amena when I am not sure about something, Amena is always truthful about what she sees. I went to see Amena about my husband's internet affair and if there was a chance for us to get back together. We are now back together thanks to Amena. I always call Amena to help me with my business decisions. I have been calling Amena for several years. I always check with Amena about my business and lucky numbers. Amena gave me some numbers and I won $1600.00. Thanks Amena! 2/2 - I still call Amena every week just to check in and keep my life going smoothly. I thank God for giving me such an insightful, understanding psychic who is still my advisor. She has become a dear friend and an integral part of my life. As you can see customers love Amena Divine! 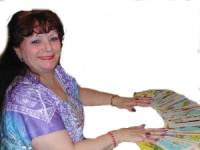 Once you have a reading with Amena you will become more positive about your life. Amena is Amazing! Amena is Accurate! Amena is Authentic! Amena is wonderful to talk to, she has wisdom, understanding, guidance, and a positive influence on all lives she connects with. Call Amena today! You'll be glad you did! Please send your testimonial to Amena at [email protected] and she will be happy to post them!